You will have a key role in supporting the activity of the Business Development Manager and the wider Business Development team. 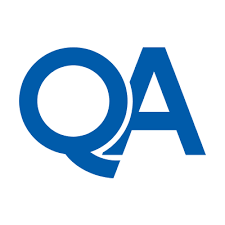 This role will introduce you to the processes and responsibilities of the Business Development function, as well as insight into the wider Sales organisation and other departments such as Marketing, Products and Sales Operations. As a focussed and organised individual, you will be responsible for supporting the Lead generation activity of the BD team by researching the latest news and events within individual communities, as well as sourcing and profiling new contacts for their outbound campaigns. Provide basic admin cover for their Sales Operations ManagerTo support you in being successful in your role, you will be given relevant product training as well as in-depth training on the CRM system they use to run their sales organisation and the processes, which manage effectiveness of their activity. Through engagement with key stakeholder teams such as Marketing, you will gain exposure into the operations that drive a Sale, from source of a Contact through to the management and qualification of Leads into Sales Opportunities. Team player, driven to engage and support internal teams for the benefit of their customers and delivery of excellent customer serviceEmployees holding this position are required to achieve and maintain an appropriate security clearance, as a condition of employment with UKCloud Limited. Employees holding this position are required to achieve and maintain an appropriate security clearance, as a condition of employment with UKCloud Limited. 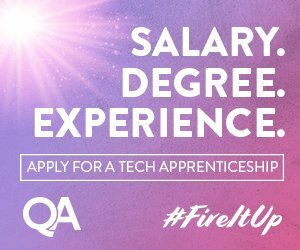 Potential for full time roleQA’s apprenticeships are funded by the Education & Skills Funding Agency (ESFA), an executive agency of the Department for Education.To be eligible for a Government funded apprenticeship you must have lived in the UK or European Economic Area (EEA) for the last 3 consecutive years.